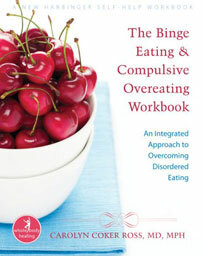 Help your clients put an end to food and body image issues! The Anchor Program will give you specific strategies and skills that you can use to take your work with binge eating disorder and weight management clients to the next level! 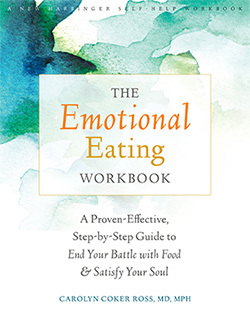 As you know, emotional blocks can be the very thing that stands between your client and their goal to lose weight and also learn to maintain it. By learning the specific techniques and strategies of The Anchor Program you will be able to you’re your clients transform their food and body image issues on the deepest level – enabling them to reach their weight goals and end their obsession with food. You will learn how to help clients remove blocks to exercise, change their relationship with their bodies from adversary to ally and gain access to the body’s wisdom to tell them when and how much to eat. You will learn about dialectical behavioral therapy techniques (DBT) to help your clients address emotional and stress eating and interrupt self-defeating behaviors such as binging or compulsive overeating. 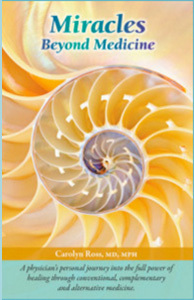 You will also become skilled in the use of guided imagery and relaxation techniques to use in your groups and individual work. Dr. Ross will share with you information on holistic tests for food allergies and teach you how to balance the brain to reduce food cravings and improve energy. Finally, she will share with you her SIMPLE™ non-diet nutrition plan that you can use to help your clients reach a healthy weight. Dr. Ross will also remain available to discuss difficult cases with you as needed for 6 months following your work together. Dr. Carolyn Coker Ross is board certified in both Preventive Medicine and Addiction Medicine. 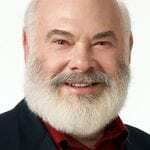 Dr. Ross completed a two-year fellowship in Integrative Medicine with Dr. Andrew Weil. 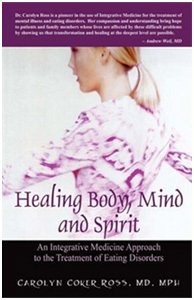 She is a pioneer in the use of integrative medicine in the treatment of eating disorders and addictions. She is the former Head of the Eating Disorder program at world-renowned treatment center, Sierra Tucson. 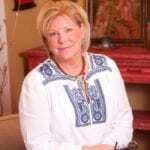 She has served as a consultant for treatment centers specializing in eating disorders and addictions, including The Integrative Life Center and The Ranch in Tennessee and Harmony Foundation in Colorado. 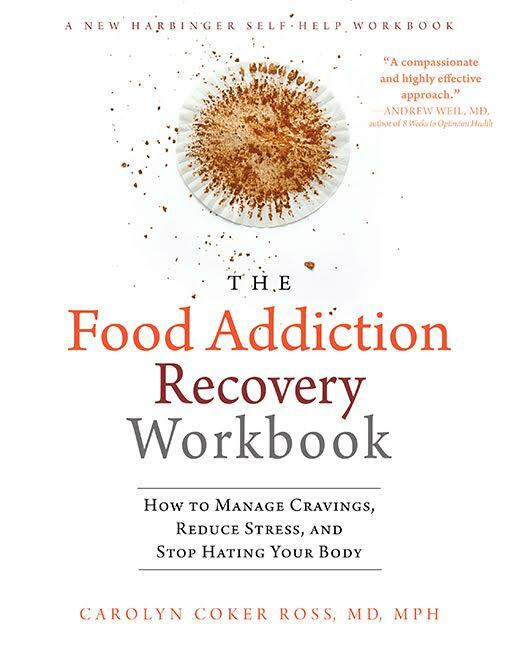 Dr. Ross is the author of 2 books on eating disorders, including The Binge Eating and Compulsive Overeating Workbook, used by therapists and psychologists around the country to help their clients. 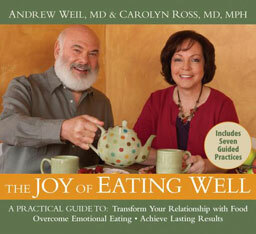 She is also the co-author of The Joy of Eating Well, an audio program in collaboration with Dr. Andrew Weil on transforming your relationship with food and with your body. 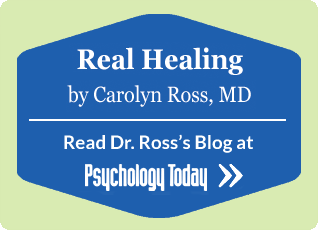 Dr. Ross is an expert in her field and speaks about eating disorders, emotional eating, binge eating disorder and compulsive overeating treatment in major conferences around the United States and Canada. She has also presented workshops in various cities in the US and in Europe. 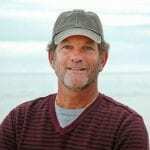 The Anchor Program offers you the opportunity of accessing the unique whole-person integrative medicine approach Dr. Ross has pioneered and working directly with Dr. Ross to learn techniques to help your patients transform their relationship with food and with their bodies. After you complete the certification course, you will be able to purchase the KITS and supplements from Dr. Ross at a discounted rate to resell to your clients. Dr. Ross has used the kits / modules in The Anchor Program and with binge eating groups for several years with excellent success. This will afford you a way to recoup your costs and offer a revenue stream in your practice. Dr. Ross will also post your information on her websites and keep you in her database for referrals in your area. Contact Dr. Ross Today to Get Started!